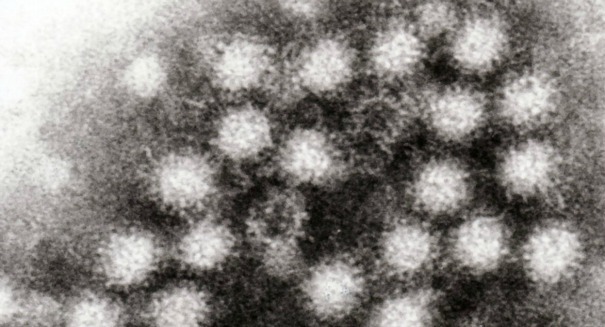 Washington state health officials are scrambling to determine the cause of a norovirus outbreak that left over 200 people sick last week. Health officials in Seattle, WA have shut down service from all food vendors inside of a downtown building pending an ongoing investigation into an outbreak of norovirus that left some 200 people ill last Tuesday. According to a report from the Seattle Times, a catered event held at the Russell Investments Center was ground zero for the infection. Of the 600 people in attendance, roughly a third fell ill from norovirus. According to Public Health – Seattle & King County representatives, an additional 50 cases were reported after the event. According to Dr. Meagan Kay, a medical epidemiologist in the health department’s communicable-disease division, the virus is likely to have spread to even more people than initially reported. So far, two people have been hospitalized and eight visited the emergency room. The Russell building is home to a number of high-profile residents, including Zillow and notable food-safety law firm Marler Clark. The building has remained open following the outbreak, but underwent a thorough cleaning over the weekend. According to Bill Marler, an attorney who represents clients that fall ill after eating tainted food, norovirus can be extremely difficult to eradicate. The bug can lead to vomiting, diarrhea, and acute abdominal pain. Marler reported that nobody in his office was sick, but that wintertime usually sees a heightened number of infections. The event, which took place in Russell Investments’ cafeteria, resulted in twenty illnesses on the same day. Interviews with attendees suggest that individuals may have been carrying the disease prior to the event, but the close proximity inside of the cafeteria made it easy for the disease to spread quickly. The party was celebrating the departure of a tenant in the building. The event was catered by Bon Appetit Management Company, based in Palo Alto, CA. Despite the outbreak in the Russell building, the company has continued to serve customers in 33 states. Norovirus is the most commonly-contracted foodborne illnesses in the country. It is transmitted by food service workers that fail to properly wash their hands, and can spread throughout the air following projectile vomiting. It can remain on surfaces as well and spread by simply touching an infected area. Foodborne norovirus causes roughly 20 million cases of infection annually, but norovirus can be spread without food as well. According to the Centers for Disease Control and Prevention, the group of viruses that cause the bug lead to acute gastrointestinal problems. Information about the sometimes-deadly virus from the CDC can be found here.